This is the new mini. Nice lightweight knife. Base price for this knife with sheath is $ 120. 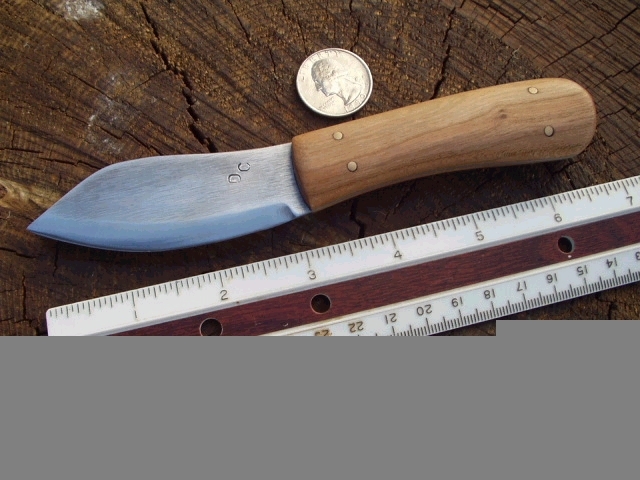 Knife pictured is 1/16" O1 steel with Cherry scales. Options are endless.